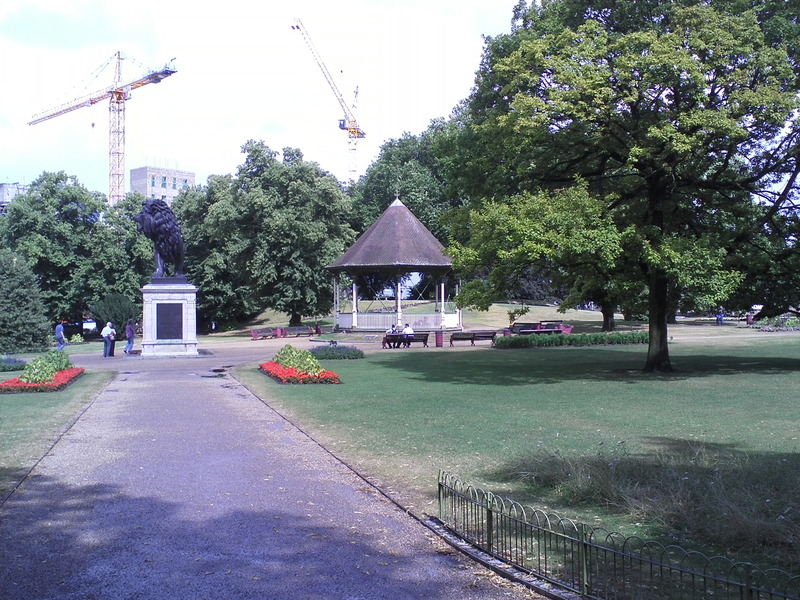 Forbury Gardens is a Victorian style public park near to Reading Abbey . In addition to a rose garden and pleasant greenery, the park features a fountain, a hill, a bandstand and a large cast iron lion statue named The Maiwand Lion which stands atop a monument that commemorates the Berkshire soldiers lost in Afghanistan in the 1880 battle of Maiwand. 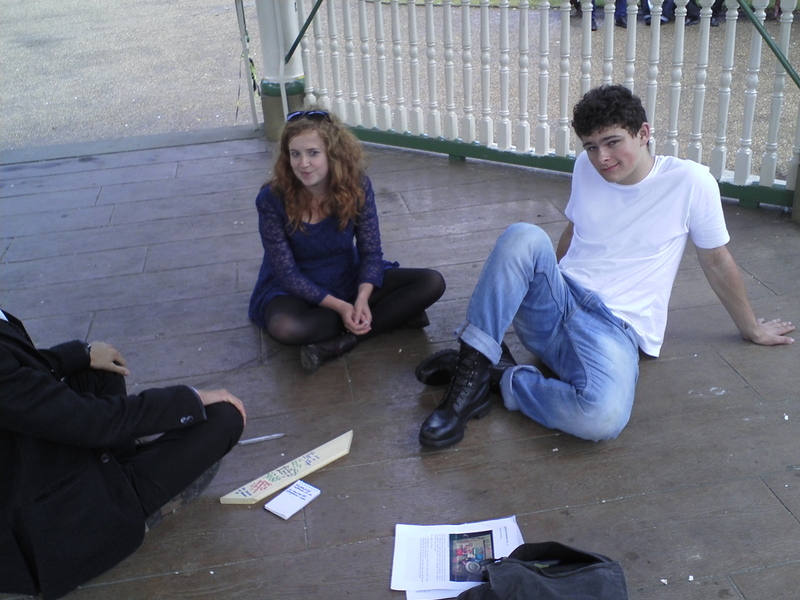 I encountered Oli, Hannah and Ryan in the bandstand at the center of the park. I explained about the project and Oli sent me to go to The Jolly Anglers, which had been his local for some time. 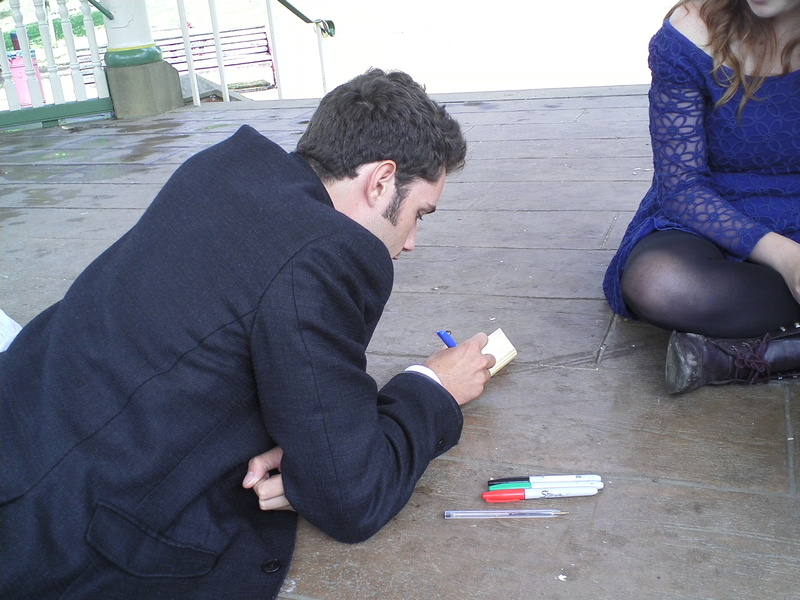 He advised me to talk to John. For the montage I was given a red guitar pick by Ryan.